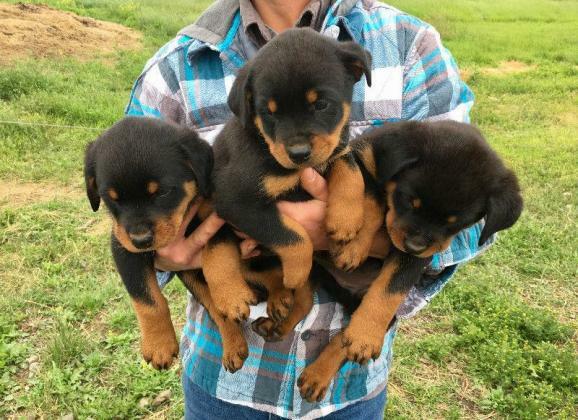 These rotti pups are farm and family raised. 6 girls and 4 boys available. Will be vet checked and have first shots before going to new homes.